A 20mph national speed limit is the single most cost-effective change possible to boost cycling and walking. 20mph limits can treble cycling to school. Localism on setting safer speed limits isn’t enough; the Government must lead with a 20mph default for built up areas. 20’s Plenty for Us agrees that 20mph limits reduce danger and the perception of danger. The City of Edinburgh recorded a trebling of cycling to school and doubling of permission for children to play out. Our call is for the Government to agree a plan for Total 20 by 2020, which sets a 20mph default for restricted roads but allows local authorities to make exceptions where justified. It’s time that the Government recognised that 20mph is the foundation of active travel. 20mph limits are a popular, cost effective way to raise public health and exercise levels on the 90% of the urban public realm that is streets and pavements. Most of the largest 40 UK authorities have decided the ‘national speed limit’ of 30mph is not fit for purpose. 15.5m people now live where the default speed limit is 20mph. Changing the national default to 20mph whilst letting local authorities sign the small number (perhaps up to 10%) of urban roads that might warrant a higher speed limit also makes more sense economically than suggesting that cash-strapped local authorities pay to sign 90% of roads 20mph. Rod King MBE, Founder of 20’s Plenty for Us commented:- “The Government must wake up, urgently change the National limit to 20mph and let authorities choose roads where other limits are warranted. Otherwise they are simply using “localism” as a fig-leaf for not taking responsibility for the adverse effect of vehicle speed on public health, community life and road danger”. Comment on the DfT’s consultation by 23 May via https://www.gov.uk/government/consultations/draft-cycling-and-walking-investment-strategy – online form or to walking.cycling@dft.gsi.gov.uk. Ask for default Total 20mph. This entry was posted in Latest News on April 22, 2016 by Matthew. The national campaign group, 20s Plenty for Us has got a brand new website, where you can find lots more information about the benefits of introducing 20mph speed limits on the roads where people live. See www.20splenty.org. This entry was posted in Latest News on March 3, 2016 by Matthew. Worcestershire County Council have delayed any decision on making any Worcester streets 20mph until at least 2017. The Conservative leadership has consistently been against the introduction of 20mph limits and as recently as May voted to reject a Green and Lib Dem motion asking to make it the default speed in built-up areas. The Conservatives claim to be sceptical about any environmental benefits and the impact on congestion. They have set up a 20mph pilot around some selected streets in Rubery, which is supposedly aimed at exploring if it could be rolled out elsewhere. The Conservative cabinet says it wants time to assess the outcome of the pilot in detail before looking at any 20mph speed limits in Worcester, thus kicking it into the long grass. However, the way the County has implemented and will measure the impacts of the Rubery scheme does not adopt best practice from successful schemes implemented in lots of other areas around the UK. Rubery is a minimal engagement pilot and so designed to fail. To conduct a pilot or model you have to understand how the pilot would translate into the real world with an authority-wide implementation. This does not appear to have been done. 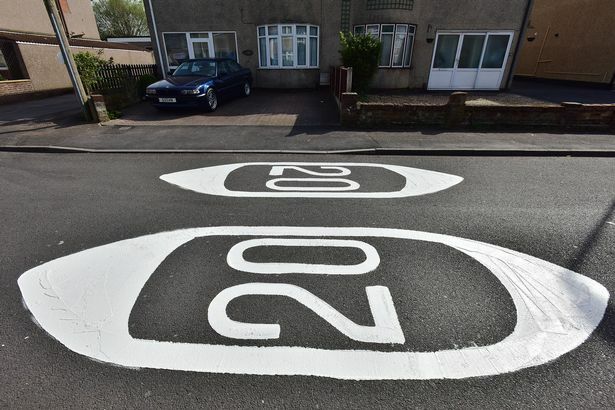 Cynically it begs the question as to whether this is deliberate so that they can ‘prove’ 20mph doesn’t work and so be a way to fend off any community pressure for 20mph. The fact that other places have done 20mph (like 20% of country) means that there already are many existing schemes that council officers could look at and assess, rather than creating their own pilot. This entry was posted in Latest News on August 16, 2015 by Matthew. The County Council motion proposed by Councillor Matthew Jenkins was rejected by the ruling Conservatives who all voted against it. There was widespread support from all other groups at the Council. Many councils across the country, of various party political control, have or are in the process of implementing wide area 20mph speed limits on residential and urban roads without traffic calming. Over 14 million people now live in these areas. Public health and other bodies such as NICE, Public Health England, the LGA and the WHO all support such a policy. It is described as the most cost-effective way to improve health equality by tackling inactivity, obesity and isolation, whilst also being child, disability, elderly and dementia friendly. Wide area 20mph limits rarely need any traffic calming measures and in other areas have been shown to be affordable, costing around £3 per person. Implementing wide area 20mph limits should be a core part of our public health strategy. We therefore ask the County Council to rethink its current policy on 20mph, which restricts where they can be implemented, and call for a Cabinet report into introducing wide area 20mph speed limits on residential and urban roads. Despite this setback we know that there is strong support for wide area 20mph speed limits both in Worcester and in Worcestershire. We will continue to push for their introduction and work with other local groups to continue the campaign for 20mph speed limits where people live. This entry was posted in Latest News and tagged County Council on May 19, 2015 by Matthew. Worcester based County Councillor Matthew Jenkins explains why communities are pressuring councils for the implementation of a 20mph speed limit. Read the article here. This entry was posted in Latest News on April 28, 2015 by Matthew.